Articles from the August 9, 1930 (Vol. 12, No. 32, Whole No. 712) issue of the Industrial Worker, the newspaper of the revolutionary union, the Industrial Workers of the World (IWW). Interesting stuff! 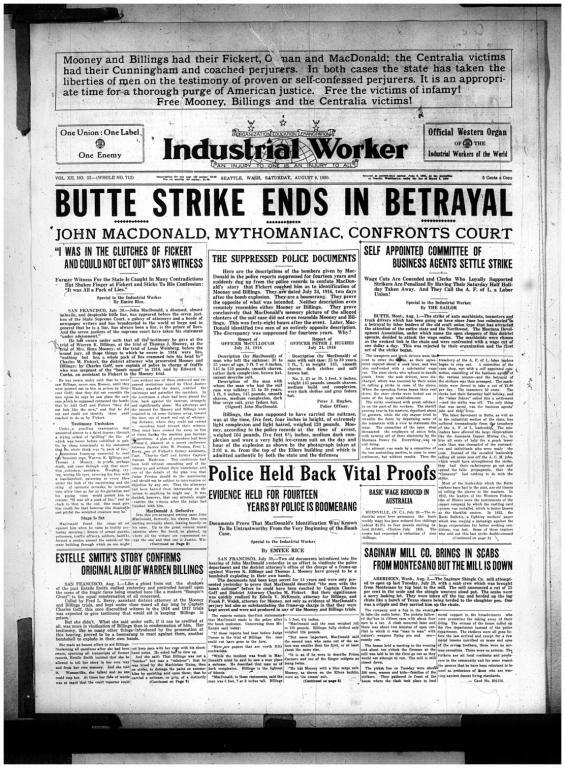 Really interesting to see how they write about the Butte strike being called off by business agents, and the "Corpse of Amsterdam" as they referred to the Amsterdam international. Also very interesting to see that referendum items used to be published in the paper and could just be cut out and returned, instead of requiring separate GOBs, envelopes, etc. That would certainly make it easier to put things to referendum more than once per year.